40x40 in infographic poster. A collaboration project with a student from MICA's Curitorial Practice MFA. 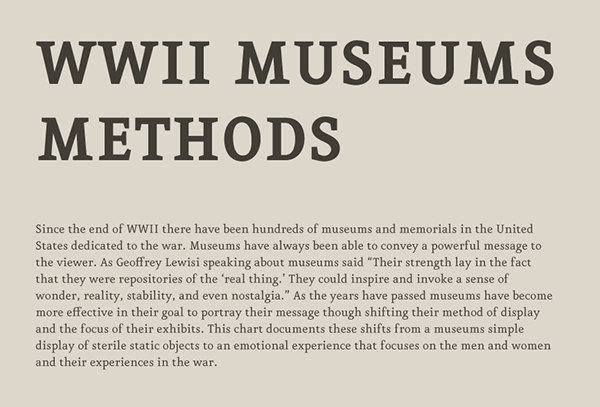 The infographic documents the shift in display methods that WWII museums use to portray their messages. Illustrations and definitions of each catergory from the chart. 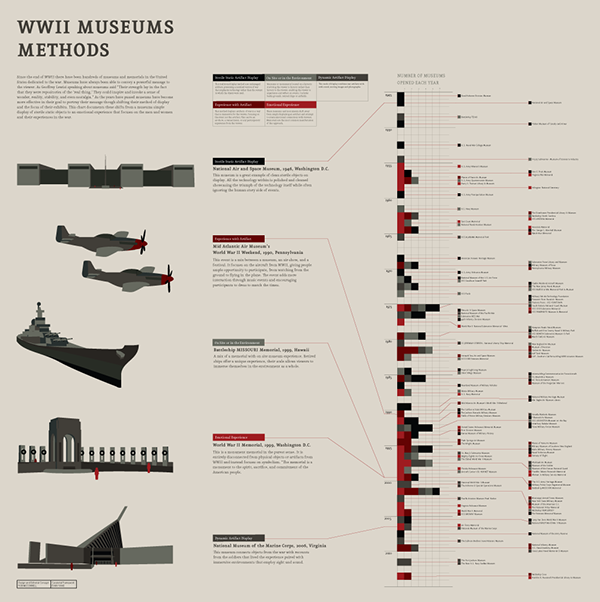 40x40 data-viz poster showing the shift in display methods that WWII museums and memorials use.